Who doesn't want to run like House Stark? Now, you can run like your favorite "Game of Thrones" house. Adidas has partnered with HBO to bring sneakers inspired by the show to the masses. Though rumored as far back as October 2018, Adidas made the announcement in February that the sneaker brand was collaborating with "GOT" to produce six Ultra Boost 4.0 sneakers and the shoes were finally released early Friday morning. Each sneaker takes on a different element of the show, from "House Lannister," a glittering red shoe with gold stripes, to "White Walker," which resembles a block of ice with a transparent, icy blue and white exterior with black stripes. 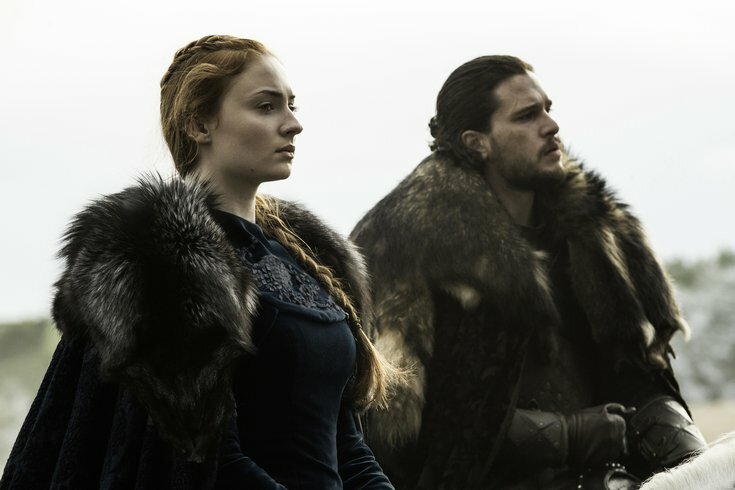 It’s no surprise "House Stark" and "Night’s Watch" are similar with "House Stark" featuring a gray neutral color design while "Night's Watch" hints at a darker gray and a touch of white. "Targaryen Dragons" may be the most poetic as it resembles fire and ash with orange and red on the front of shoe fading into the blackness of the rest of the sneaker. "House Targaryen" is a pure white shoe with silver stripes. This isn't the first major brand to work on a collaboration with the HBO show. It was also announced in February that Urban Decay would release a "Game of Thrones" collection. While details of the palette(s) are unknown, Urban Decay mentions the palette is “inspired by our favorite places in Westeros and the strong women of the Seven Kingdoms.” The looks will be inspired by House Stark, House Targaryen, House Lannister and the White Walkers. The makeup brand announced earlier on Friday that the reveal for the collection would be announced soon. Adidas x "Game of Thrones" collection retails at $180 and are available at adidas.com.